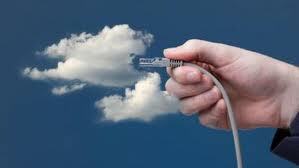 Does Your Organization Have a Bring Your Own Cloud Problem? Do you have a Bring Your Own Cloud problem? Even if you don’t know it, your employees may be using their own cloud to store your business data. While in most cases the intentions of employees are good – they may simply be trying to protect business data in case of deletion or access data to conduct business remotely – they may be creating a larger security and privacy issue for your organization. If your organization doesn’t have or enforce a strict data governance policy that explains how and where your employees can use and store their data, they are most likely using services like Amazon, Box or Dropbox to backup their files. These services are great for personal use, as they are easy to use, offer expansive amounts of storage and are often free, however they do not provide the necessary safeguards for corporate data. If you don’t have access to data employees are storing on their own personal could, how can you access that data if an employee leaves your company? How can you protect the security and privacy of intellectual property that data may contain? How can you conduct discovery on that data in the event of litigation? The answer is – you can’t. The solution? Implementing a comprehensive data governance strategy (that outlines the policies, procedures and technologies for data governance within your organization) and enforcing that policy throughout your organization. To learn more about creating and implementing a data governance strategy within your organization check out: “Developing an Information Governance Strategy” a new whitepaper by Osterman Research available in our resource library here. As a Senior Vice President, Chris Grossman manages the Enterprise Applications division of Rand Worldwide, including the Rand Secure Data division. Contact Chris at cgrossman@rand.com or visit www.randsecuredata.com.